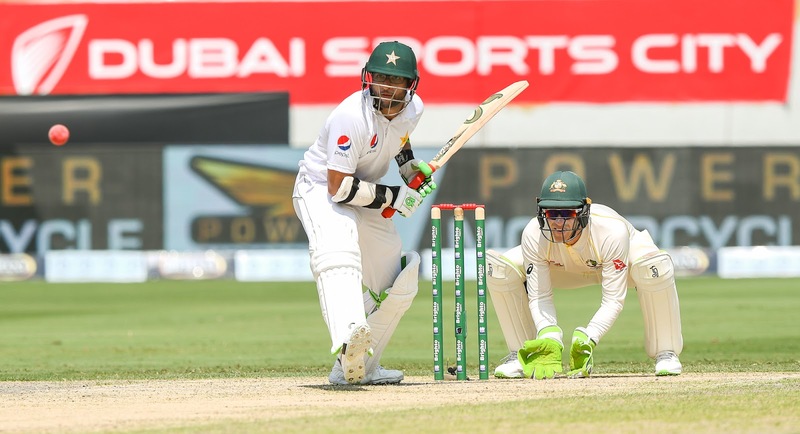 There was no surprise when Pakistan captain, Sarfraz Ahmed, won the toss and elected to bat first under the scorching Dubai sun in the first test against Australia. Before the toss, Pakistan handed a Test cap to off spinner Bilal Asif, while Australia handed out three caps to Aaron Finch, Travis Head, and Marnus Labuschagne. 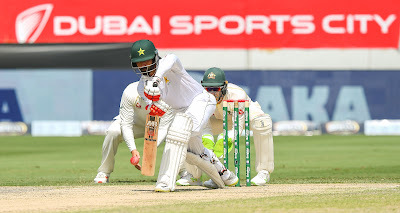 Mohammad Hafeez, making his comeback to the test side after two years, and Imam Ul Haq, wasted no time in ensuring that Sarfraz had made the right call at the toss. Pakistan's openers dominated the proceedings for the first two sessions and out in 205 runs for the first wicket, in what was the 5th double century opening stand for Pakistan in the history of their test cricket. Hafeez made his comeback memorable by knocking a superb century. His 126 was laced with 15 boundaries and it seemed as if he was never away from Pakistan's test team. Hafeez has had numerous comebacks to the Pakistan team and every single one of them has been with a bang! When he returned to the team at the Oval in 2006, he was playing a test after a gap of 3 years and showed everyone what Pakistan had been missing when he scored 95. The second comeback that I remember was in 2010 against South Africa when Misbah took charge of the team. Then he came back with a 60 against an attack that included Dale Steyn. And now, he bettered all his previous comebacks with a scintillating 126! His opening partner, Imam-Ul-Haq continued the awesome start that his career has had, but he would be disappointed to miss out on his first test century after departing for a flawless 76. It was a brilliant start from Pakistan's openers, but following their departure, Pakistan gave back some of the initiative that they had snatched away from Australia. At 205-1, one would think that the new batsmen would try to dominate the bowling that would have been tired out by the openers. However, both Azhar Ali and Haris Sohail batted as if the scoreline was 2-2 and not 222-2! If anything they showed the quality of the innings that Hafeez and Imam played in more challenging conditions. It was still Pakistan's day with 250 odd on the board and only 3 wickets down, but it did not end at the same dominant note that it had started. Monday, October 08, 2018 This comment has been removed by the author. Hafeez is a very good player and he is in good form. All he have to is to maintain his form for Pakistan cricket. For the ten over league called t10 league get all the infromation regarding this league and watch T10 League 2018 Live Stream. The thrilling season of Pakistan Super League is starting in the month of February and people are starting for different ways to enjoy the PSL Live Streaming HD free because it is the best way of watching cricket online. This page definitely has all the info I needed about this subject and didn’t know who to ask. PSL Live Streaming 2019 and PSL Schedule 2019 and if you want more PSL Teams 2019 so click and enjoy. Lottery Sambad Result. Click on the link above to Download and view Lottery sambad result online. sambad today lottery result online PDF. Check daily Lottery Sambad Result 11:55AM, 4:00 PM and 8:00 PM. As you now lottery sambad draw held 3 times a daw once at 11:55 AM Second time 4PM and 3rd Time 8PM. So you can check three times Lottery sambad result online. Kerala Lottery Result Kerala lottery is famous for its backwaters, literacy rate and gender equality. Now it has added one feather in its cap. Kerala was the first state to get State Lottery Scheme. All the private lotteries were banned and state government started the lottery under its authority. Leading the way for other states, it has many lottery schemes with various prizes. Lottery Sambad Today 8pm Night Result Above given points are related to the learner. Each point reflecting different aspects and as a whole process. After this, we move towards lottery tips & tactics. Then first we need to discuss tips. And after those tactics for Nagaland State Lottery Evening 8PM Result. So, let pay your full concentration on this point which is having millions of wealth.